We say we want to follow God. We say we want him to lead us, but do we really? I think we think we do. However, it seems that while we say, “I want to follow God!” very few of us are willing to walk within the boundaries of God’s Word, when those words don’t lead us down a path that is paved with our own plans. For many of us, our idea of walking with God is the same way we walk a dog: we want God on the leash. Sound ridiculous? Or true? 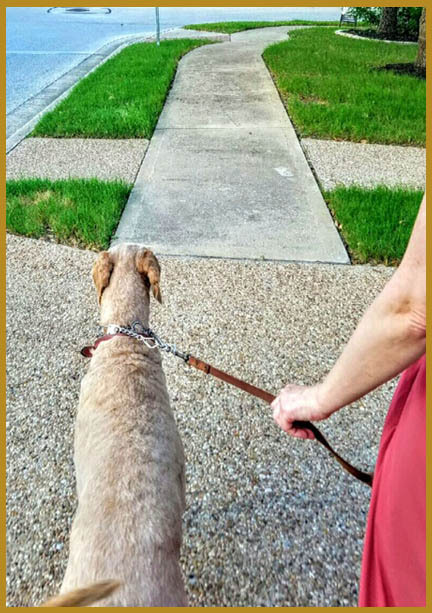 When we take our dogs for a walk, we determine the path. When the dog pulls in a different direction, we pull harder until we straighten him out. We cannot control where the dog wants to go, but we don’t let him veer us off course. We also set the pace. We pull the leash to slow him down or nudge him on. We cannot control the dog’s desire to run or rest, but we don’t let that control us. We like the protection a dog affords. However, if he makes too much of a scene growling or barking, we shush him quickly, tell him to sit, or even put him behind us. We cannot control the dog’s senses, but we don’t let him embarrass us. After the walk is over, we take the leash off, give him a refreshing drink of water and maybe a treat, a pat on the head, a few “Nice Doggy” words of encouragement, and then we are through. We decide when the walk is over and we move on to other things. That is exactly how many of us walk with God. We want God on the leash, we decide the path and the pace, we allow how much of God to reveal to others, and when we decide we’ve had enough, we put God aside. We give him a few “atta-boys” in church and then we send him to his place. Not only do we want this, we insist on it. Why? Because we don’t fear God. And because we don’t understand his love for us. “Not me!” we adamantly insist. Really? Seriously? Do you fear God enough to let him lead you? Do you trust his love enough to let him lead you? What if he leads you along a path you don’t want to walk? What if his pace doesn’t suit you? The thing about letting God lead is that he doesn’t lead us blindly. His paths are paved and and well lit. We don’t have to stumble in the darkness. God promises to illumine the paths he would have us walk; he tells us that his Word is the lamp for our feet and a light for our path (Psalm 119:105). Too often we don’t trust that he knows what is best for us. Or we don’t trust his power, his goodness, or his ability to see beyond the corner, and so we don’t follow him. Instead, we tell him where we want to go, we map out our own paths, and then we ask him to walk with us and bless us. Who is leading whom? When we have a plan, it is very difficult to pause and look for direction in God’s Word. Instead, we deceive ourselves with half truths that make us feel better about what we are doing, and we forge full speed ahead trying to drag God along with us. We are deceived because we do not know the scriptures or the power of God (Matthew 22:29). We read Gods words, sing them, share them, memorize them, and perhaps manipulate them to prove our point, but do we study them to learn what God would have us learn so that we can walk where he would have us walk. 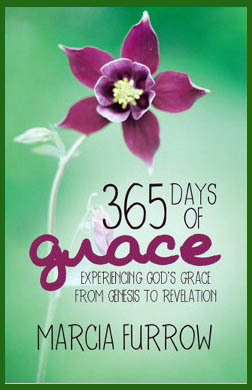 We want to know God’s love, mercy, and grace; but do we want to know his rebuke, discipline, or sovereignty? When our knowledge is limited, and our wisdom is worldly, we rebel. We choose to go our own way, because we want to be in control. We are rebels because we don’t fear God (Psalm 36). We don’t fear disappointing him, we don’t fear his rebuke or his discipline, we don’t fear his pruning, and we don’t fear stepping out from under his protective arms. Why not? Maybe it is because we don’t understand the magnitude and purity of his love for us. If we truly grasped his love, and the price he paid for our reconciliation and salvation, we would fear walking anywhere that he isn’t leading. If we knew his love, we’d know that every path he has for us is for our good, and we would fear missing out on anything he might bring our way. Because we have not grasped the immeasurable love of God, and because we have not seen ourselves as unworthy of that love, we do not fear God. When we do not fear God, we try to lead him. We do not lead God, even if we foolishly think we do. What criteria do you use to decide your paths? Is your life based on half truths that make you feel good? Or do you study to know God and his Word so that you can confidently walk on whatever path God has for you? Do you fear God? Do you know the love of God — that he loved you enough to send his one and only son to die for you — and that nothing can separate you from that love? Do you know that because God loves you he will always lead you perfectly?